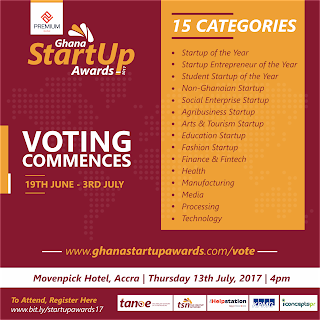 The awards ceremony which comes off at the Movenpick Ambassador Hotel in Accra will be held on Thursday, 13th July, 2017. Public voting has also been opened on www.ghanastartupawards.com/vote and will be closed on Monday 3rd July, 2017. Below are the Shortlisted Companies in their Award Categories arranged in Alphabetical Order.